Brandon's FOCUS Update: So much to tell! 1. Winter Camp is January 16-19. This can be a pivotal moment in the year for so many students, so pray that everyone who needs to be there chooses to come. Getting everyone there is a big job for our entire leader team. 2. We are having a lot of trouble getting rooms reserved for the semester on campus at UTD. This came out of left field since we haven't had trouble like this in years. Pray for God to give us favor with the administration and break this logjam so we can have our Friday night services on campus. These average SAT scores are among the highest in the state, which gives you an idea of the kind of bright students I get to work with at UTD! This is so exciting for us as we look toward pioneering new ministries at UTA and NCTC and increasing our impact where we have already planted. Thank you, thank you, thank you to those of you who participated, shared the news, and prayed for it. We are working now on how to most effectively put that money to work for the kingdom, and I'll work to keep you posted on how we use it. Yesterday we got back from our winter staff retreat. With our staff spread out over a few cities in the area, this is one of our few opportunities to share vision and minister to one another, and it's a critical experience for our interns every year. 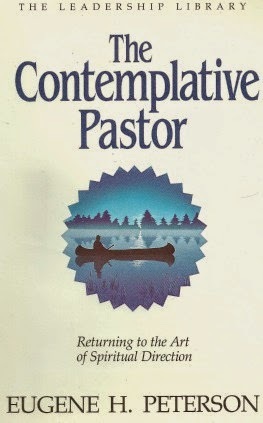 Over Christmas break, everyone on staff read The Contemplative Pastor by Eugene Peterson. The book was good for me on a number of levels. It's very meditative. He gives three words he thinks describes good pastors--unbusy, subversive, and apocalyptic. (Not three I would have picked!) He writes poems and reflects on poems. He talks about "the ministry of small talk" and tells the story of a sabbatical he took to pray and play and write. One of the most powerful ideas for me came when he was talking about John writing Revelation as a pastor to his churches: "St. John is terrifically urgent, but he is not in a hurry." I think that describes Jesus' and Paul's ministries as well: urgent, but not in a hurry. When I get in a hurry, I miss opportunities and do sloppy work. When I get in a hurry, I don't notice Zacchaeus up in the tree. When I get in a hurry, I get to the next challenge before God has fully prepared me for it. Please pray for me that I can match God's pace in my ministry and life with Him. Lastly, a couple of stories. At our first FOCUS meeting at UTD this past fall, I got to meet an amazing young woman. She grew up in the Bahamas and completed her first two years of college at the University of Miami. She told me in that first encounter that she transferred to UTD because God told her to, but she didn't know why. Reminds me of Abraham picking up and moving because God said "Go!" No one had really discipled her up to that point, but the Lord had clearly been mentoring her. I've loved getting with her every week to discuss the scriptures and hear how the Lord is moving in her life. She's definitely one to watch--the Lord has big plans for her! Part way through the semester, her boyfriend, who had already graduated, found a job in Dallas and moved here. After a few weeks, he asked if we could study the Bible together. He has a Christian background, but had never read the scriptures on his own. Each week I assign him a new book of the Bible to read, and each week it takes us nearly 2 hours to cover his questions and thoughts about it. I love reading and discussing the scriptures with him and seeing his sweet heart for the Lord. So far, he has read Matthew, John, Acts, 1 Corinthians (twice! ), and now Genesis. After reading Matthew and John, I asked him what stood out to him most about Jesus. He said he noticed how Jesus didn't treat everyone the same--the ones who didn't know anything were treated with great mercy while a higher standard was applied to those religious leaders who should know better. I was blown away by such a profound insight into the heart of our very good and just God. He's an amazing young man, and I'm excited to develop this friendship in the Lord. 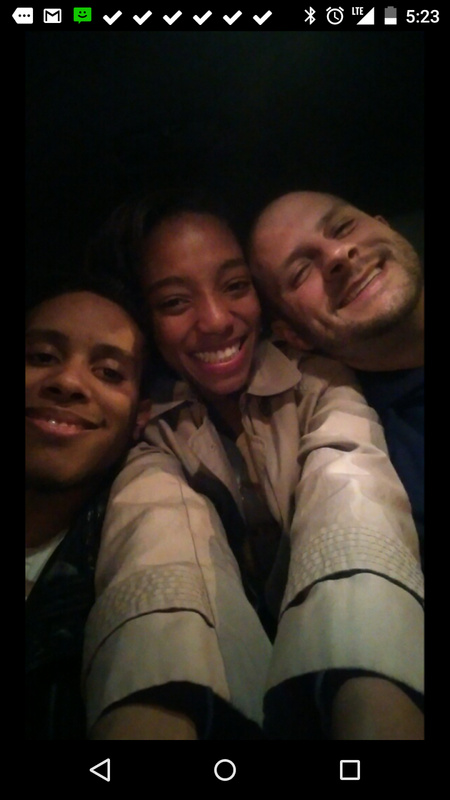 I've been so encouraged by getting to spend time with these two. They are like so many young people today, drifting in and out of churches waiting for someone to invest in them and raise them up to lead in the kingdom. Thank you for sending me to spend time with them, and for bathing this ministry in prayer; together we are planting many seeds and harvesting good fruit!